The Indigenous People of Biafra (IPOB) assert that Justice Binta Murtala-Nyako must dismiss counts #1, #2, #4, and #8 on the charges brought against the leader of IPOB, Mazi Nnamdi Kanu, and the other three Biafrans. In her ruling on March 1, 2017, Justice Binta Murtala-Nyako dismissed six counts namely #3, #5, #7, #9, #10, and #11 while sustaining five counts which are #1, #2, #4, #6, and #8. 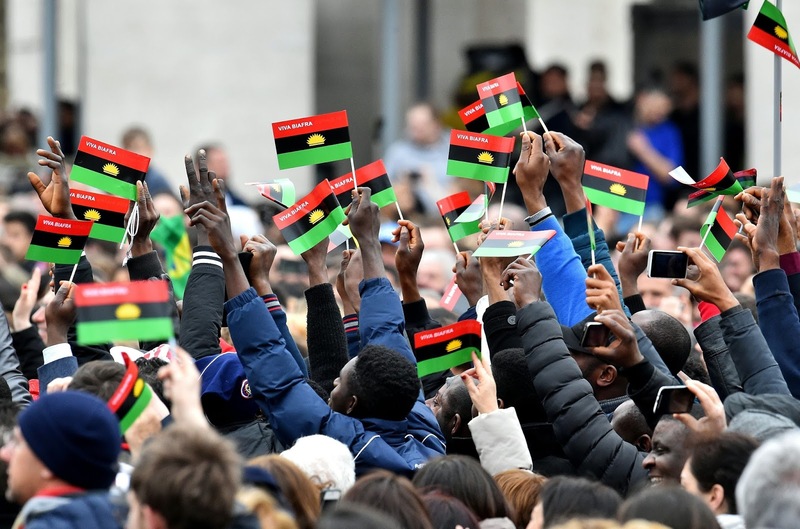 As IPOB prepares for a full trial on count #6, we hereby demand that the remaining four counts be dismissed on the grounds of fraud/perjury, false claim/identity, and for conflicts with relevant sections of CAP-C38 and ACJA-2015. Counts #1, #2, and #8 must be dismissed because the charges do not conform with Section-196(1) and Second Schedule of the Administration of Criminal Justice Act of 2015 (ACJA-2015). The cited section and schedule in the ACJA require that every charge must include the date, year, and location of the commission of the offence for which the accused is being charged. When it comes to the specificity of time of the commission of an offence, there is no provision for the term “Diverse Dates“either in Section-196(1) or in Second Schedule of ACJA-2015. Secondly, Section-43 of CAP-C38 requires that an accused person is no longer triable for treason and related felonies after two years from the stated date of commission of the offence. It is because of this same Section-43 that, today, Muhammadu Buhari is not being tried for treason which he committed on December 31, 1983. Without a specific date of commission of the offence, how then can the prosecution prove that two years have not elapsed as at the time of commencement of this case in Binta’s court? In addition to dismissing these three counts, we urge Justice Binta Murtala–Nyako to indict, convict, and jail the prosecution for committing a crime punishable under Section-118 of CAP-C38. On the 29th of May, 2015, Retired Major General Muhammadu Buhari was sworn-in as the President of Nigeria which includes the occupied territories of Biafraland. Count #4 stated that Buhari, as the President of Nigeria, was defamed by Nnamdi Kanu on the 28th of April 2015. This is not only a false claim on the status of Buhari as at April 28, 2015, it is also a case of perjury, and the prosecution must be indicted and convicted of committing a crime as specified in Section-117 of CAP-C38. We also categorically state that Mazi Nnamdi Kanu could not have referred to Buhari as the President of Nigeria as at April 28, 2015. We warn Justice Binta Murtala–Nyako that should she refuse to dismiss count #4, we shall base our argument for the continuation of the charge on Section-379(5) of CAP-C38 and the court must grant us our rights to subpoena everyone that will be linked to the charge in line with our argument. Based on the evidence we have and those to be subpoenaed, we foresee a scandalous embarrassment to the person of Buhari, his wife Aisha and her children, and the entire Nigerian political establishment if Justice Binta Murtala-Nyako chooses not to dismiss this charge of defamation (count #4). In conclusion, IPOB is demanding that Justice Binta Murtala-Nyako dismisses four out of the five remaining charges because they are based on fraud, false claims, and are in conflict with the relevant sections of CAP-C38 and ACJA-2015. Also, the prosecution should be tried and convicted on Section-117 of CAP-C38. Failing to dismiss these four charges will spell doom for the Judiciary in Nigeria and will result in monumental embarrassment on Buhari and his family in particular and the Nigerian government in general. The facts and evidence in our possession are overwhelming and may not be palatable to Justice Binta Murtala-Nyako, the prosecution, and the Buhari family.